Looking for a reliable and professional man and van firm in Kensington, SW7? Look no further because we are the best man and van moving company in area and we will help you move your house or office in a hassle-free and easy way. We provide a range of comprehensive services including man and van service, packing service, deliveries, pickups, office relocations, house removals and many more. Rest assured that your belongings are safe in our hands. We provide goods in transit insurance and our professional movers will take care of your belongings as if they were their own. They are trained individuals whose primary goal is safety of your belongings. They will treat each your items with utmost care. So if you choose us for your man and van in SW7 area moving project, you can count on us to provide top notch service and to ensure safe removal and transportation of your property. When moving your belongings, rest assured that your property will be handled professionally with safety and care in mind. We guarantee customer satisfaction and that your removal will go as smoothly as possible. No matter how big or small your removal is, we will ensure to provide a quality Kensington man and van service. We are customer-focused firm and we will not stop until you are completely satisfied with our work. Moreover, not only you will get the best service but we will offer competitive price that will suit your moving budget. Check out free moving calculator or schedule your on-site estimation and we will provide you with a quotation. For more information on our services, prices, and other, you can contact our polite and knowledgeable customer support. They will provide assistance and free consultation. Search no more and hire us for your man and van service in Kensington, SW7. 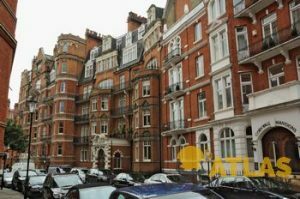 As a part of the Royal Borough of Kensington and Chelsea, Kensington is known for a numerous ancient buildings, parks, and other. One of the most popular parks in Kensington is Kensington Garden, which once was a private park. Other important sights in the district include Speke’s monument, the Serpentine Gallery, the Royal Albert Hall, the Albert Memorial and other. Kensington High Street is a commercial heart and the main shopping street in the area. The transportation stage of your relocation will be conducted with the aid of our high quality vans and trucks. Our vehicles are equipped with the best GPS systems that allow real-time tracking, so you will always know the exact whereabouts of your belongings. We have also added specialised positional harnesses into the cargo space in order to add supplementary protection during transit. All Lorries and Lutons are cleaned regularly and are kept in top mechanical condition. It is our top of the line vehicles that permit us to provide the most punctual man and van services in Kensington, SW7. We operate throughout the district of Kensington, SW7, and its surrounding areas. The district has an estimate population of 65.000 people and is one of London’s most beautiful and well-known neighbourhoods. The area has strong ties with France as it the location of the French Embassy Cultural Department, French Consulate and the French Lycée. The district is served by its own station.